Nordlof Center, 118 N. Main St. The annual "Hometown Holiday" variety show returns to the Sullivan Theater in Rockford’s Nordlof Center on Friday, Dec. 7 and runs through the weekend. 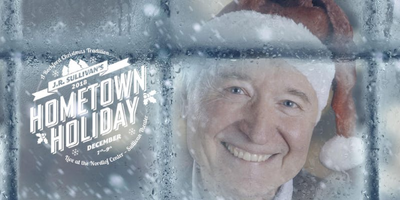 "Hometown Holiday" features a blend of holiday-inspired storytelling, comedy and popular seasonal songs performed by regional actors and musicians. Joining this year’s Hometown Holiday cast are local artists, Miles Nielsen and Kelly Steward. Other talented actors and musicians in this, the 23rd production of the show, include J. R. Sullivan, Daniel Patrick Sullivan, Shawn Wallace, Randy Sabien, Linda Abronski, Marcella Rose Sciotto, Lydia Berger Gray, Stephen f. Vrtol and Jeff Christian. Hometown Holiday is custom-made each year for the Rockford community and includes holiday-inspired storytelling, comedy and seasonal and popular songs. An all-new Rockford story by J. R. Sullivan, founder of the former New American Theater and producer of Hometown Holiday, closes the show.